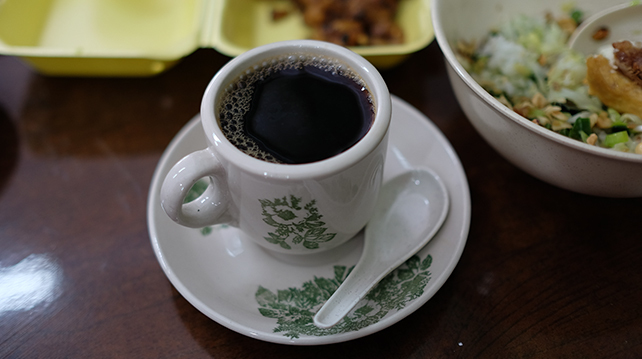 Down south in Johor, there is a little known coffee farm growing the rare Liberica coffee bean, a varietal that accounts for only 1% of coffee production worldwide. My Liberica Coffee is exactly that, and has been planting Liberica beans since 2009. 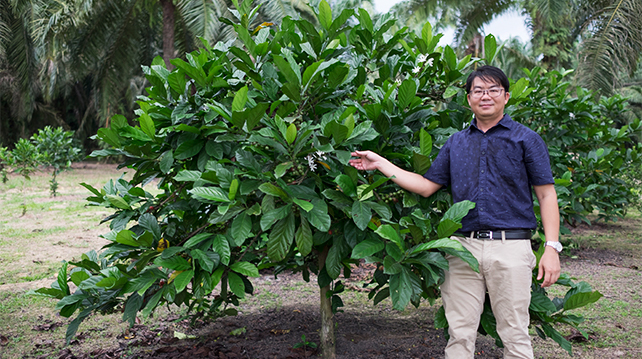 Founder Jason Liew was an agriculture student in Taiwan when he found his love for coffee. After working 2 years following graduation, he returned home to build a business based on his passion for coffee. An espresso machine was in Jason’s mind when he wanted to geek out with his brewing, so he opened a café to justify buying one. While researching about beans, Jason found that the cost of buying imported beans was high. There are three main types of coffee beans - Arabica, Robusta, and Liberica, comprising approximately 60%, 40% and 1% of world production respectively. Plantations are primarily located within the Bean Belt, the “ring” around the world between the Tropics of Cancer and Capricorn which provide the required combination of soil, altitude and climate for coffee growing. Arabica beans are the most recognised worldwide, supply is plenty, but pricing for this commodity can vary drastically depending on the market’s demand and supply. By the time the green beans reach the end buyer, prices would have increased because of numerous middle persons. Jason decided that by growing the beans himself at his father’s farm, he would be able to lower the cost when supplying to his own cafes. He wasn’t entirely wrong, but he made a miscalculation - Liberica beans are not cheap to produce. Coffee beans come from coffee cherries, the fruits of the coffee trees which are bright red when ripe. Arabica and Robusta cherries are smaller, more uniformly sized, and have only one bean per cherry. Liberica cherries on the other hand, are the largest amongst the coffee varieties, have lower yields, harder skins, can vary in size, and have one to three beans. These inconsistencies do not determine the quality of the beans, but are challenges, when it comes to harvesting and processing which are labour intensive. Whilst Malaysia is within the “bean belt” for coffee growing, the soil is unsuitable for growing Arabica which requires well drained soil and higher altitude. With the humidity, heat, clay-like soil conditions, and the lower elevation, Jason could only choose to grow either Robusta or Liberica beans. These two beans are similar in terms of their character, are adaptable to hot climates, more resistant to pests and disease, and can grow at low altitude (flat land). Interestingly, unlike Arabica which can self-pollinate with its own flowers within the same plant, Liberica and Robusta depend on cross pollination through wind, insects or birds to help transfer pollen from another plant. This also means that there is no control over what pollen the trees will receive, whether from another coffee flower or a banana tree… you name it, any plant that grows in our tropical farms. 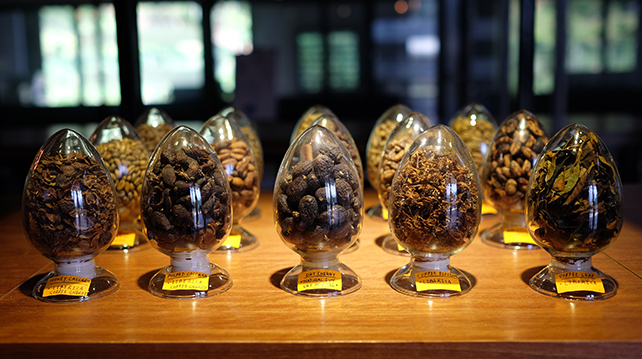 This also means that these varieties can have infinite combination of variations that affect the beans’ flavour. 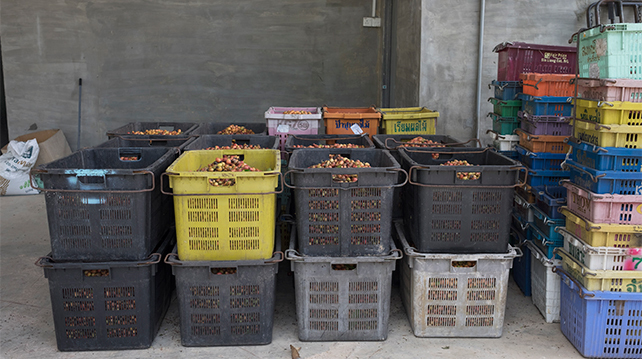 Trading of coffees in Malaysia from plantations to processing mills is via selling the cherries and not the beans. The processing mill will buy the cherries from the farmers, remove the shells and flesh of the fruit (think rambutan, thick flesh wrapped around the seed after the shell is peeled off), then the seeds (beans) are left out to ferment and dried, either under the sun or by a mechanical dryer. 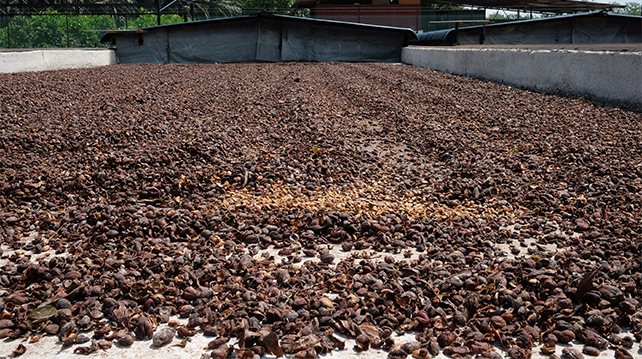 The dried seeds are then packed in sacks and rested for 30 to 120 days in a cool and dry place to allow the even spread of moisture throughout the bean’s cellular structure. After this, the beans are brought for roasting. When Jason started to grow Liberica trees on his father’s vegetable and fruit farm, he sold the cherries from his trees to the processing mills and bought back the green beans from these mills after processing. He will then pick out the good beans and discard the bad ones before roasting. There was no control over the processing and handling by the mills as these were focused on supplying bulk coffees, mainly for coffee powders. This model changed in 2014 when Jason took on the entire beans processing with his father at the farm, leaving the café business to Loon and Bryan and roasting to Adam, his three brothers. As no one before Jason has processed Liberica beans like Arabica beans, the depulper bought from an Arabica beans processing factory had to be modified to fit the bigger and unevenly sized Liberica beans. At this point, it is important to understand what defines Specialty Coffee because what determines the quality of coffee is not the type of beans, but the process. To be able to trace the source of the beans from the time they’re grown, processed, roasted and served in the cup, and with careful separation such that only the best green beans are selected for roasting and brewing. Arabica, Robusta or even Liberica beans, as long as it goes through this time consuming process, can be defined as Specialty Coffee. Fermentation at the right temperature is vital to preserve the character of green beans. Either too much moisture or too long in storage will cause the beans to sprout, at this stage the nutrients in the bean would have been given to growing the plant, losing their essence. If stored in too dry an environment, the fermentation process will be halted before the flavours develop. When too moist, the beans will start to sprout. 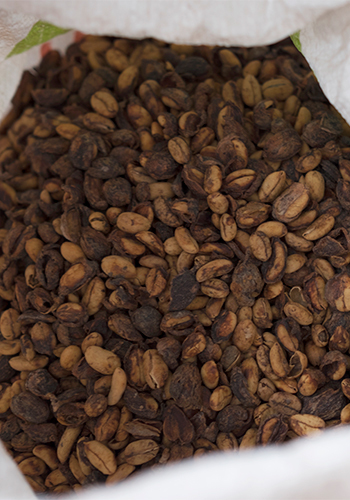 When these poor quality beans end up at the roaster, the unfavourable flavours of coffee such as the greenness, the off and woody taste of the beans are carried over into your cup of coffee. The original strong flavour character of Liberica beans are ideal for adding into coffee blends, giving a long lasting finish to the coffee, which most of us describe as “gao” (thick finish). How do well-cared for Liberica beans taste like? Well processed Liberica beans typically produce flavours that are fruity and sweet, nutty, with a long but clean aftertaste. A unique feature of Liberica beans is that their cells are like a sponge with the capacity to absorb and store flavours from external influences, particularly during pollination and during fermentation. 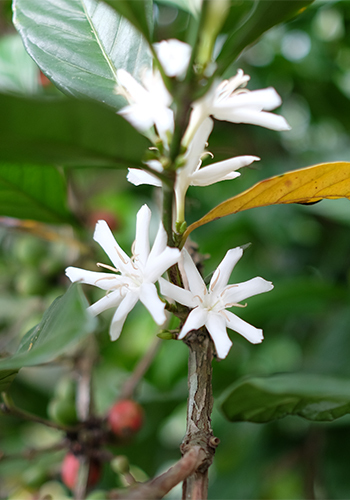 Pollination is affected by nature, and we have tasted coffees with hints of banana. 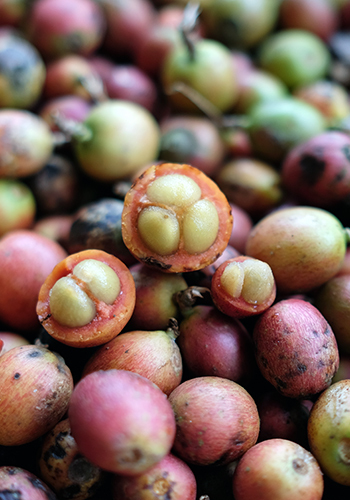 During fermentation, the producer can introduce flavours to the beans, such as what Jason has done, by spraying the juice of limau kasturi (lime) to his beans which adds a citrus note. 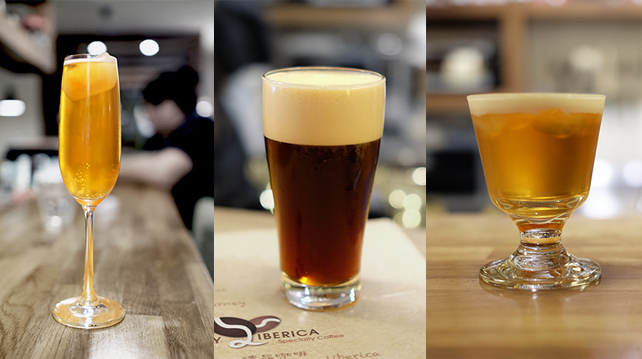 My Liberica Coffee has now expanded to 4 outlets in Johor Bahru and one in Cheras, Kuala Lumpur. A franchise model has allowed Jason to keep control of over 90% of the brand quality from growing to roasting and packaging, with the last stage of brewing left to the baristas whom they train in My Liberica Coffee’s facilities. The cafés’ menus constantly include new recipes to keep up with the coffee drinking trend. They recently introduced Stout Coffee, a cold brew coffee infused with nitrogen and CO2, creating a texture similar to stout, a popular black ale style. Alongside this new creation is Cascara Champagne, a fizzy tea brewed from cascara, the shells of the coffee berries. Other than the beans and cascara, Jason is also developing tea using leaves and flowers from the coffee plants. The outer shells of the beans that are discarded to retrieve the green beans are used to make fertiliser, making sure nothing goes to waste. After 8 years of trials and errors, My Liberica Coffee is starting to create traction with the coffee industry. 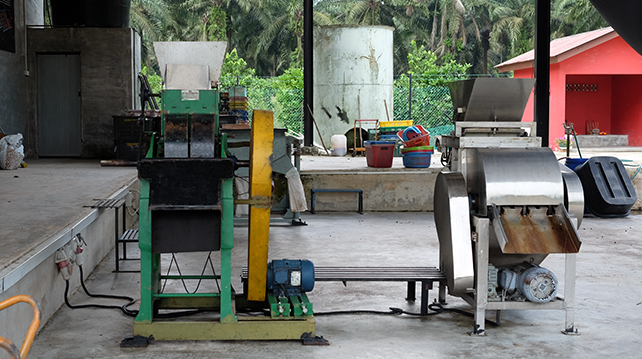 Tours, both from consumers and within the industry, are coming to My Liberica’s farm to learn about Malaysia’s unique coffee variety, and a new visitor’s centre is now being built next to the milling plant in the coffee plantation. This is an old business that has been injected with a modern approach, renewing the value of a commodity that was deemed too inferior to gain from. If you ask any businessman, what My Liberica Coffee has done takes too long and returns too low a profit for those who want a fast profiting business. But what we see is a revival of an under-appreciated trade and the comeback of a farming industry run by a young generation. What we believe as a dying farming industry are replaced with the belief of going back to the essentials.